Baahubali 2 is the first Indian movie to have garnered a box office score of over Rs. 1,500 crore but filmmaker Anil Sharma is not convinced of Baahubali‘s record-breaking status. Mr Sharma is best known for 2001’s Gadar: Ek Prem Katha and is also the director of films like 2007’s Apne, 2010’s Veer, and 2013’s Singh Saab The Great. In a recent interaction with the media, Mr Sharma revealed that Baahubali 2‘s box office performance is simply a fraction of what Sunny Deol’s Gadar had made, with respect to the difference in timelines and ticket pricing, reported news agency IANS. “It is just a matter of time. There was a time when, in 2001, Gadar : Ek Prem Katha was released and had done a business of 265 crore, which as per today’s calculation is Rs. 5,000 crore,” Mr Sharma told reporters when asked about Baahubali 2. This is how Mr Sharma explained the math: “As mentioned, Gadar had done a business of Rs. 265 crore in 2001 when the ticket rates were Rs. 25 only. As per valuation, it is Rs. 5,000 crore today and Baahubali 2 has just reached some Rs. 1,500 crore, so no record has been broken,” IANS quoted him as saying. The filmmaker also said that a “good film” always has the potential to topple records, however, reiterating that Baahubali 2 has not set any. “Please don’t frame me in all these things. If some good film comes, records would be broken. And as far as Baahubali 2 is concerned, it has not yet set any record,” said Mr Sharma, reported IANS. Meanwhile, the Hindi version of Baahubali currently stands at Rs. 478 crores, tweeted trade analyst Taran Adarsh. The Hindi version, distributed by Karan Johar’s Dharma Productions, has smoothly surpassed the previous highest grosser – Aamir Khan’s Dangal. Baahubali is S S Rajamouli’s two-part epic drama that made stars out of Rana Daggubati and Prabhas. 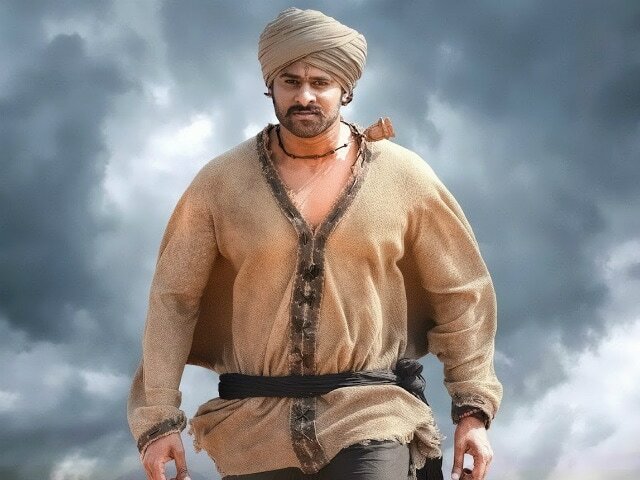 Baahubali: The Beginning released in 2015 and Baahubali: The Conclusion followed up opening across 8,000 screens in April this year. Anushka Shetty, Ramya Krishnan, Tamannaah Bhatia and Sathyaraj are also part of the ensemble cast of Baahubali. Anil Sharma is currently busy promoting his son Utkarsh’s debut film Genius.